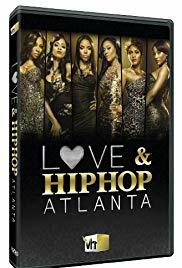 Love & Hip Hop: Atlanta is the Atlanta based spin-off of Love & Hip Hop. It premiered on June 18, 2012, on VH1 and chronicles the lives of several women who are involved with hip hop. The second season premiered on April 22, 2013, with new cast members: Atlanta DJ and radio personality Traci Steele plus DJ Babey Drew, Traci’s ex and father of their son Little Drew. A dark and compelling thriller centering on Detective Superintendent Elizabeth Bancroft, a female detective with an explosive secret. A young prank vlogger begins to lose his grip on reality when he becomes torn between family pressures and the influence of his fervent online fanbase.